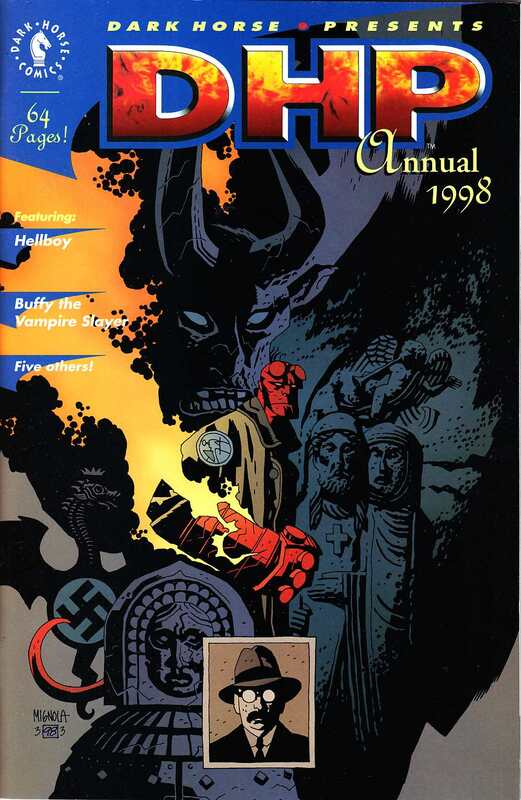 Hellboy Cover by Mike Mignola. This action packed 64-pages features the further adventures of Hellboy, My Vagabond Days, Skeleton Key, The Ark, Phineas Page, and . . . Buffy the Vampire Slayer! Save your allowance and get in line, children, 'cuz this one is gonna go fast! 64 pages, B&W. First Buffy Comic appearance Pre-Dates Buffy #1.